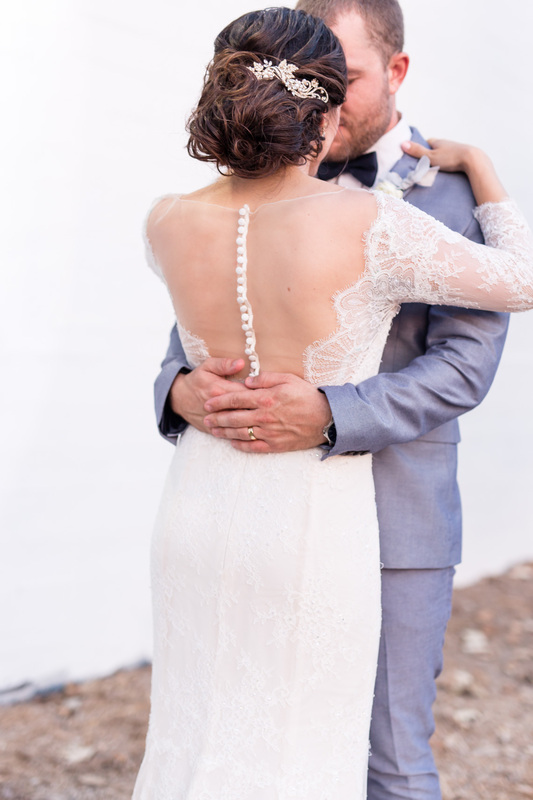 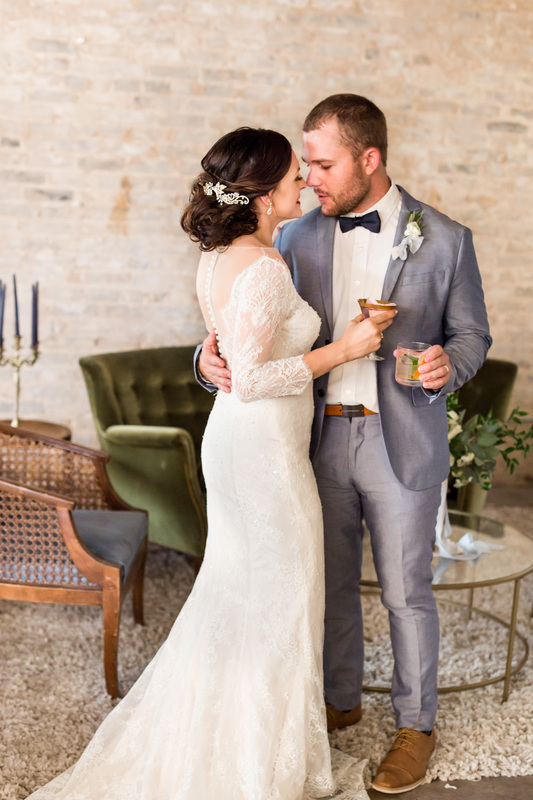 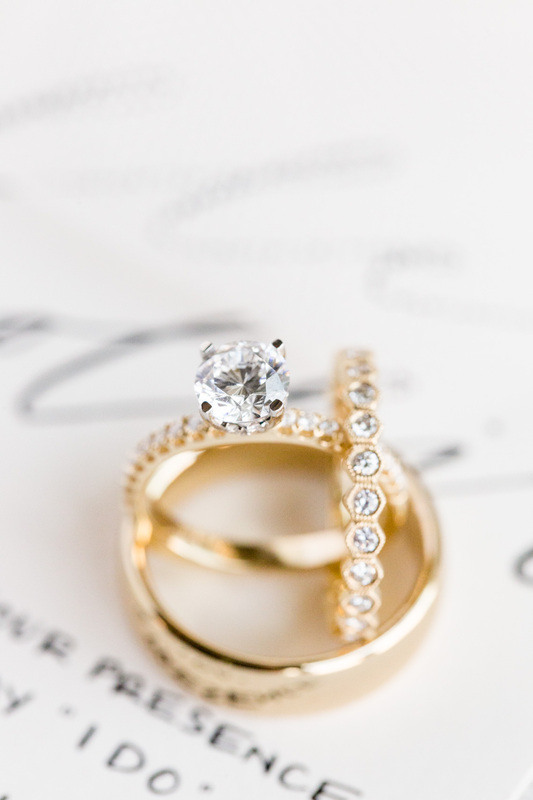 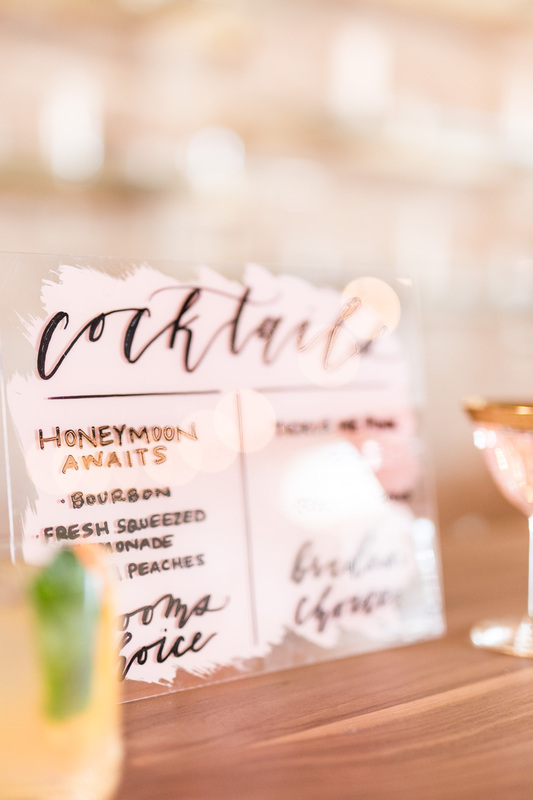 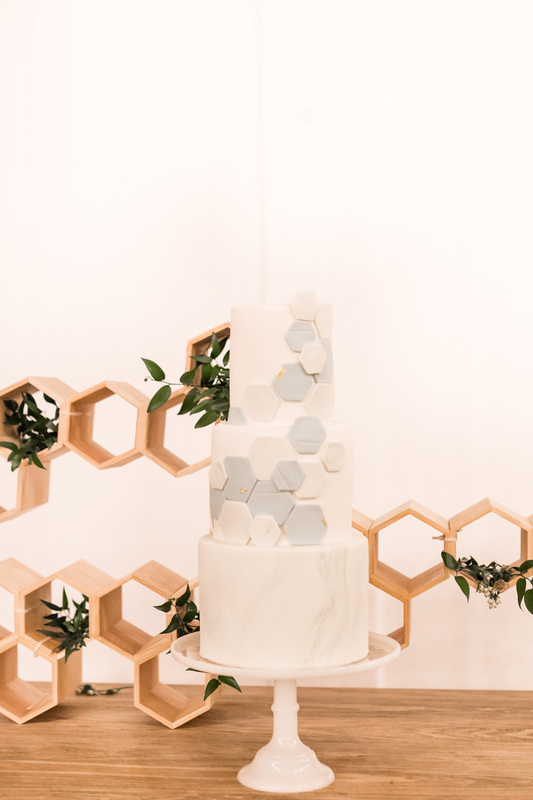 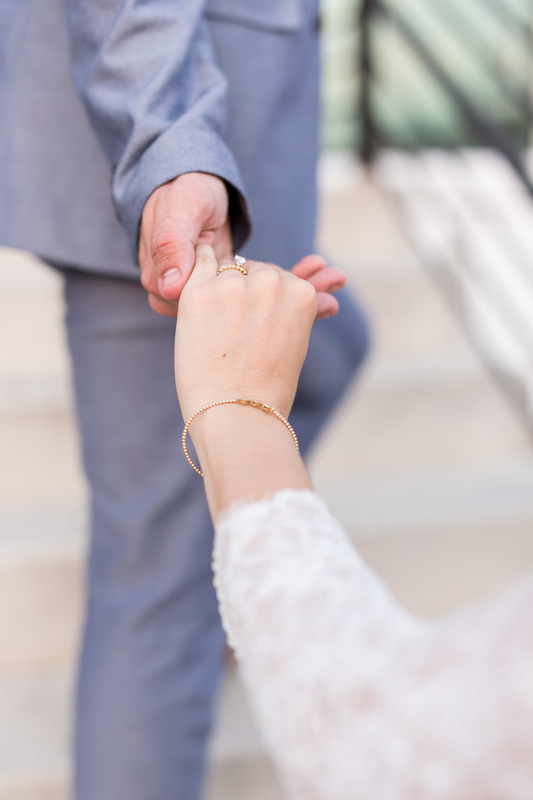 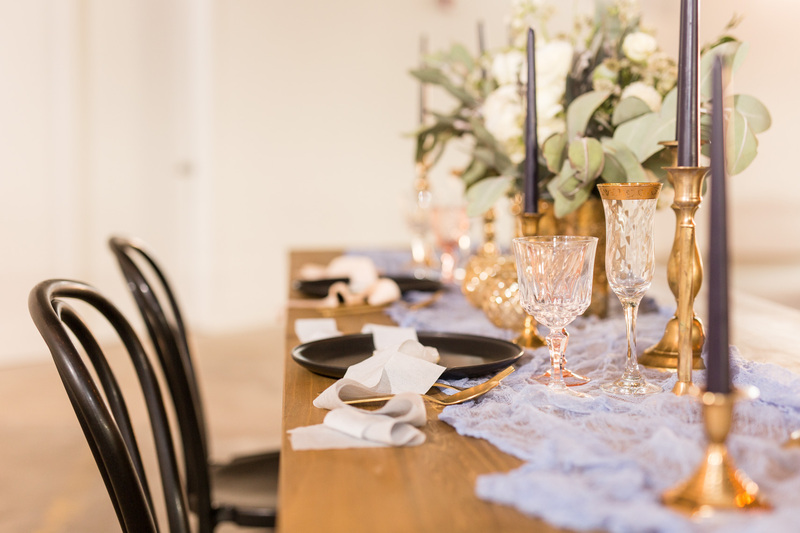 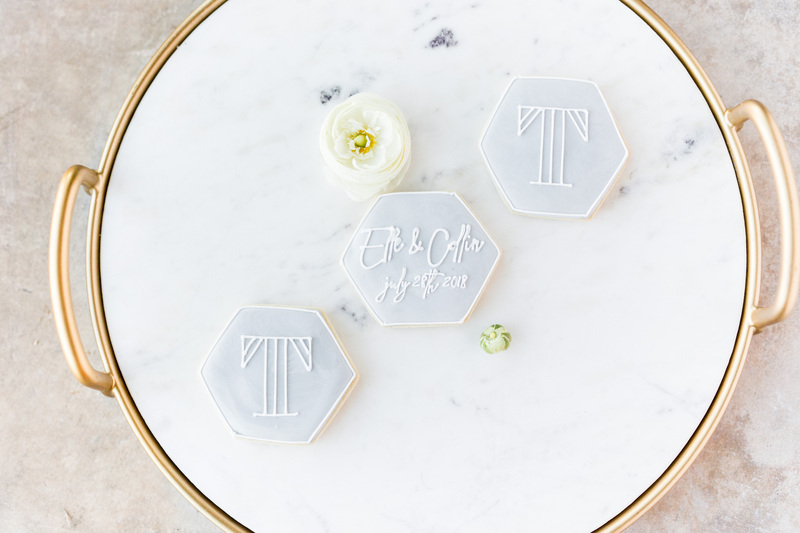 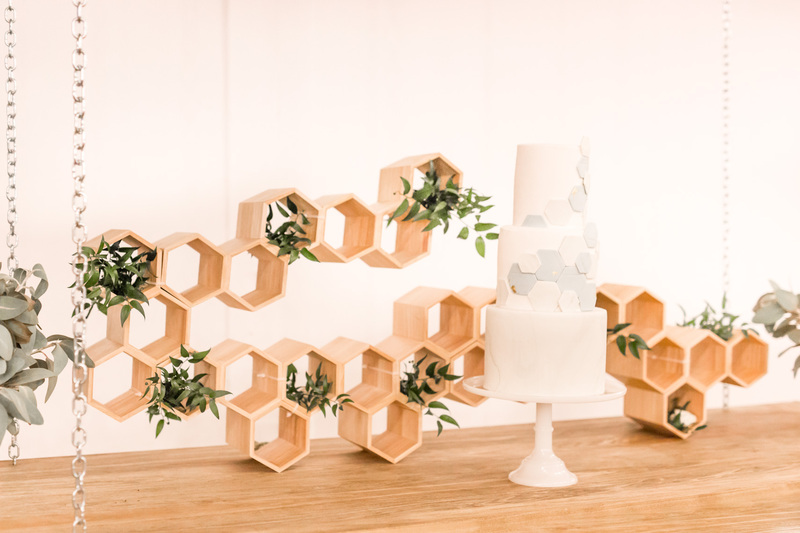 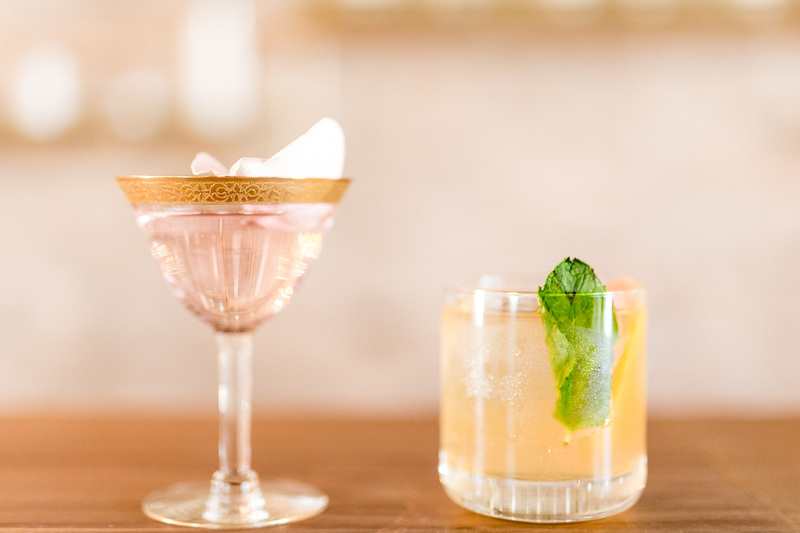 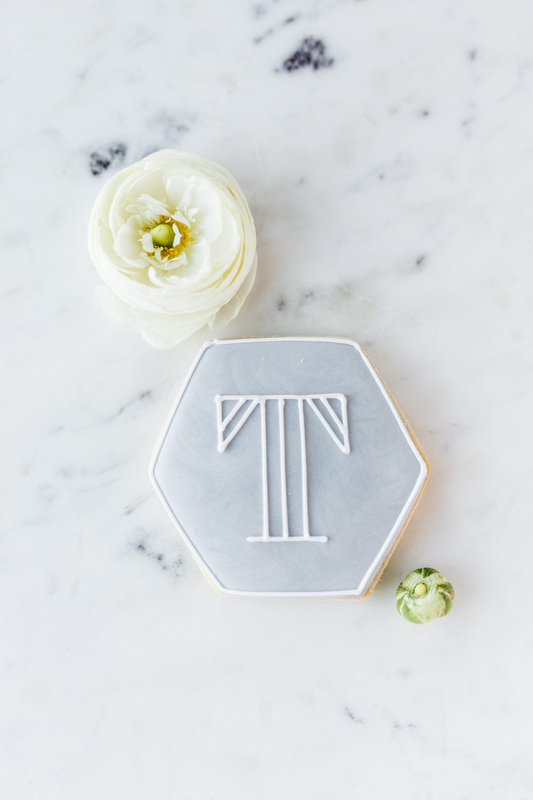 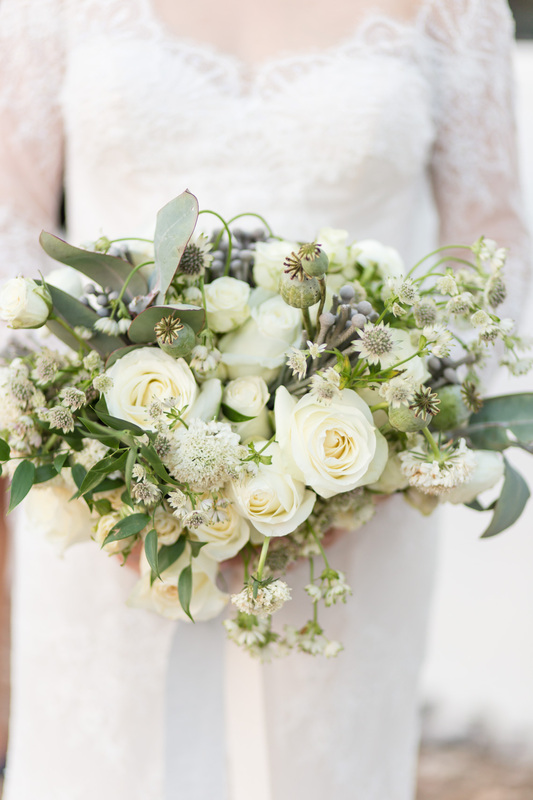 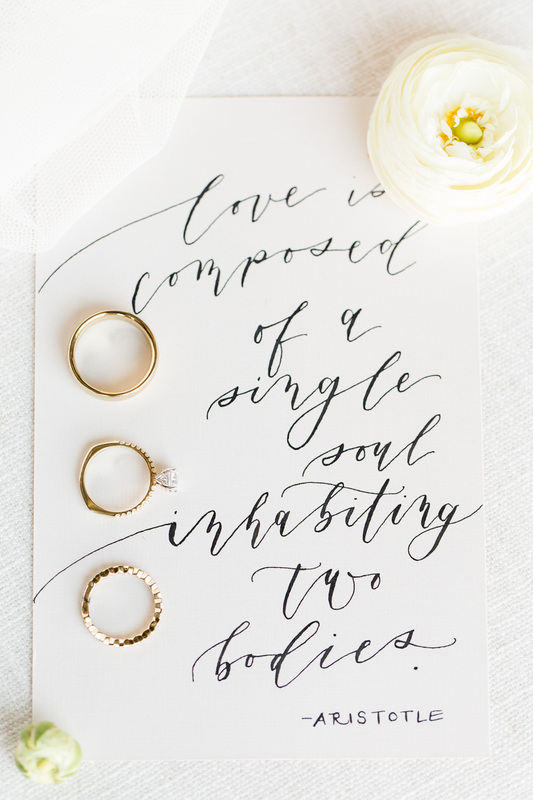 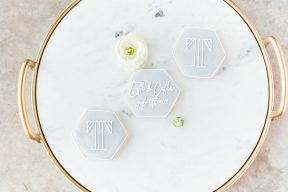 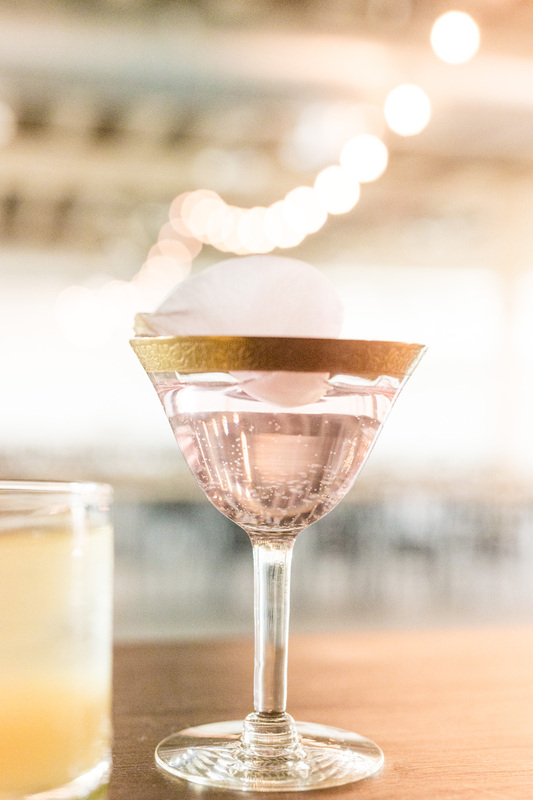 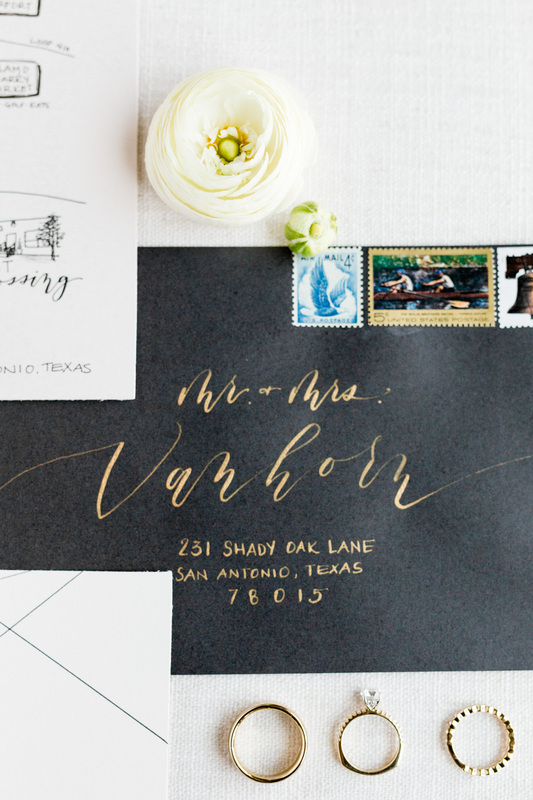 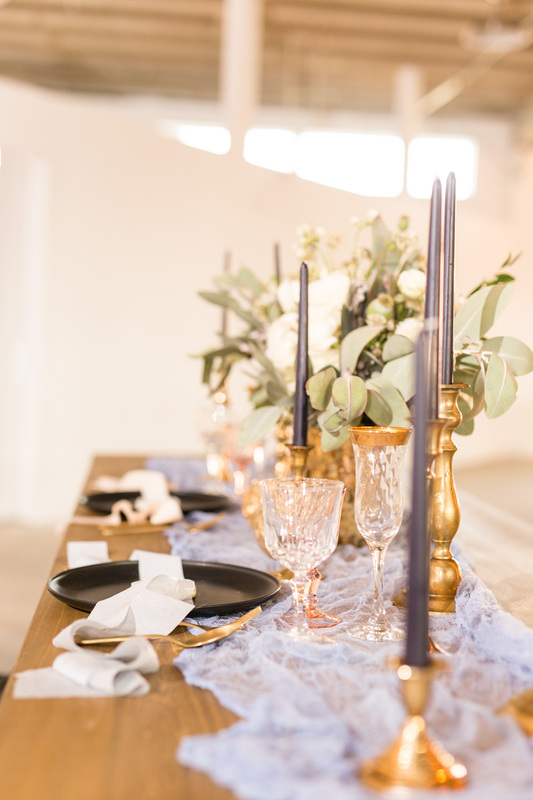 Marissa Mayberry Photography and Embellished Event Planning share their vision for an industrial chic wedding at East Crossing. 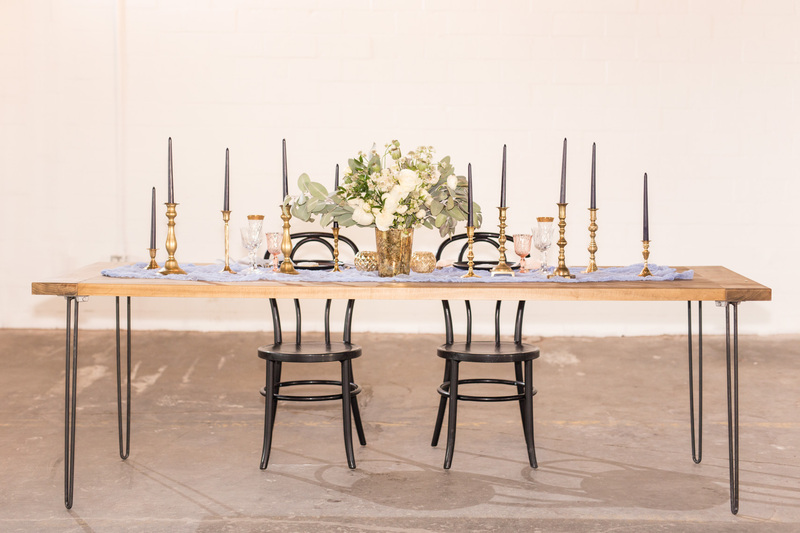 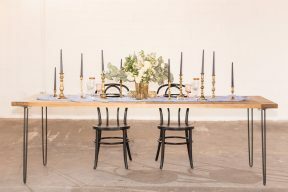 Using stylish black bistro chairs and modern black plates, the table-setting looks great in the light open space of the venue with white walls and cement floor. 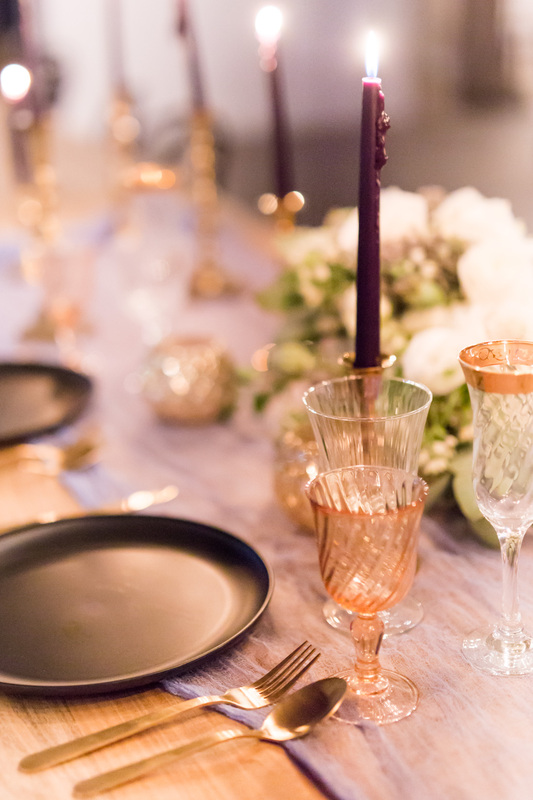 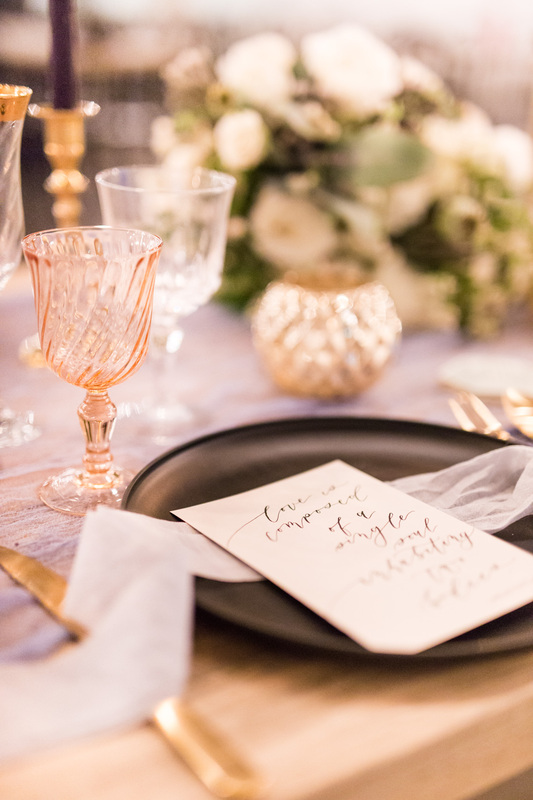 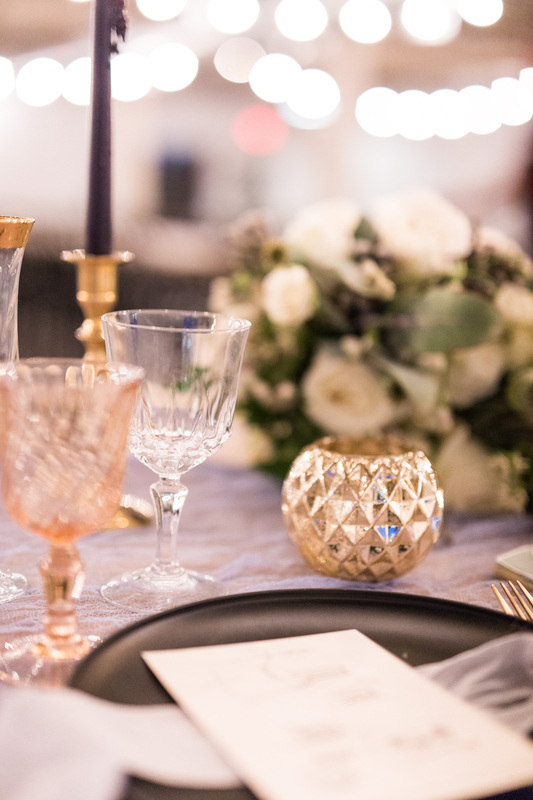 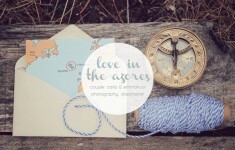 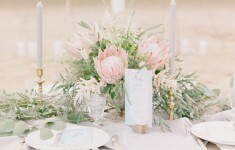 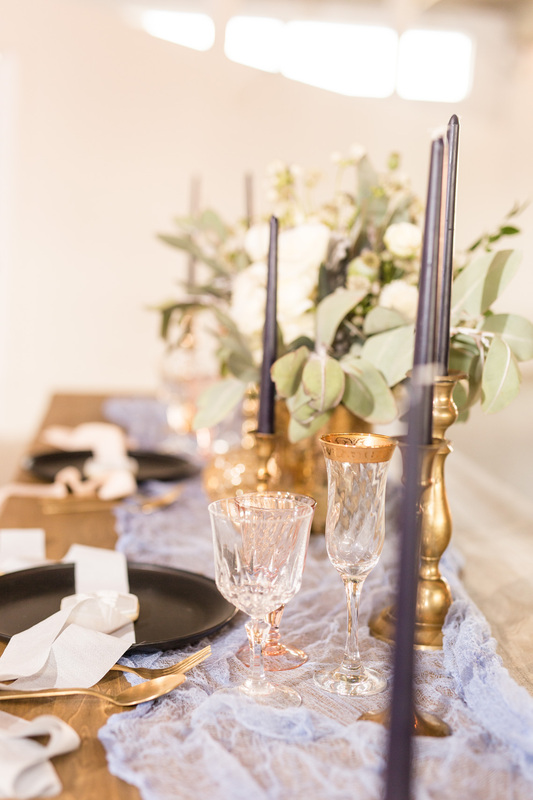 Adding brass, gold and hints of blue and pink they bring romantic details with a modern twist to the table decor. 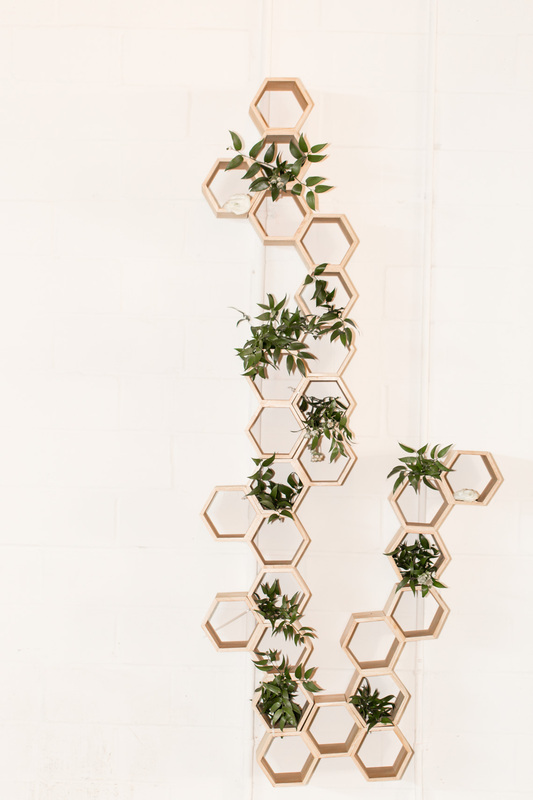 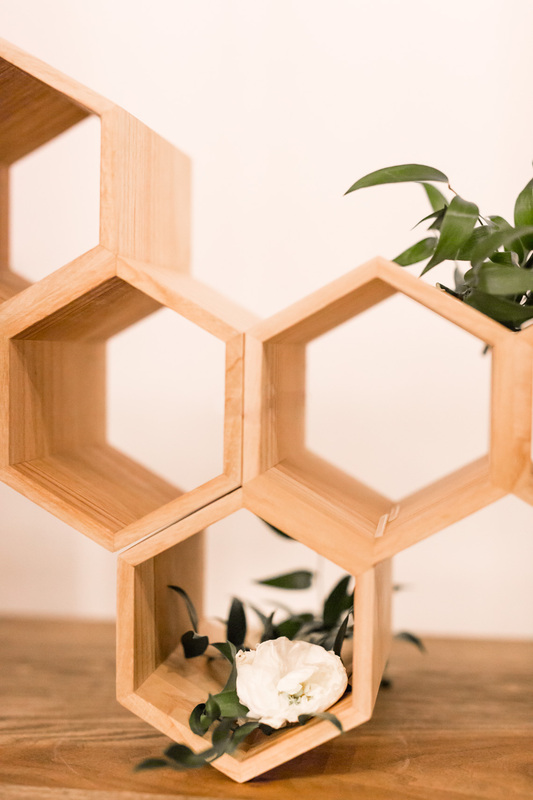 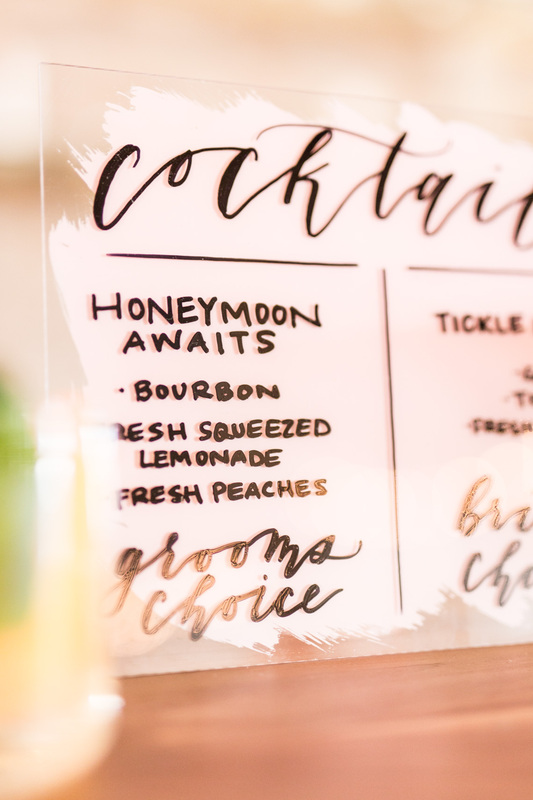 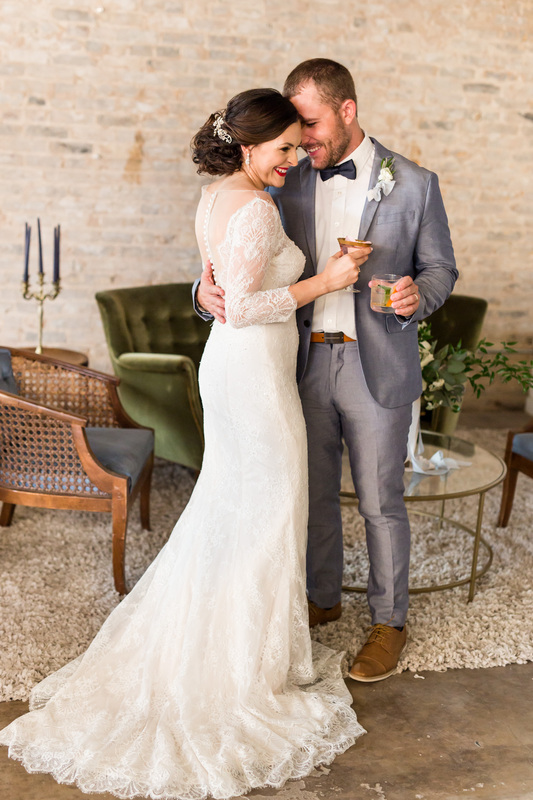 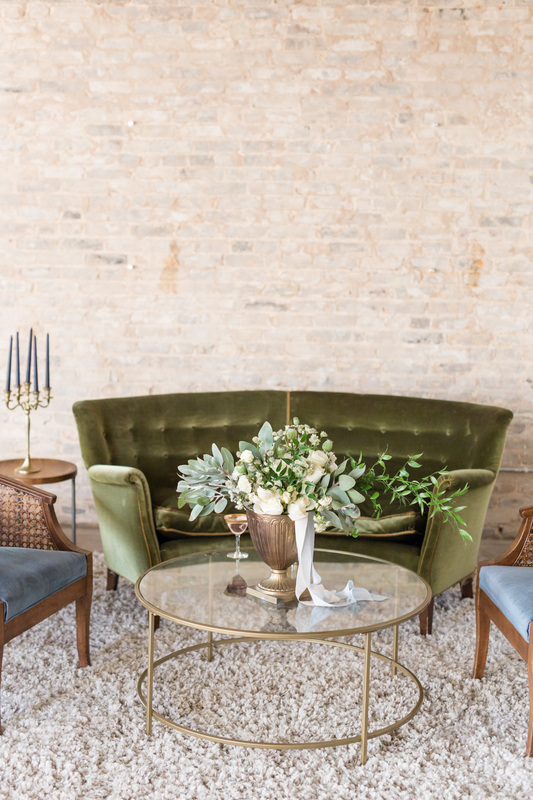 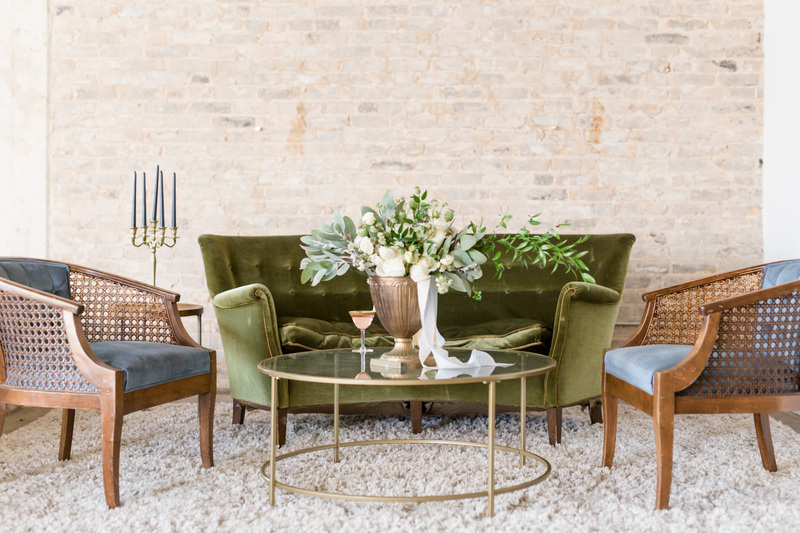 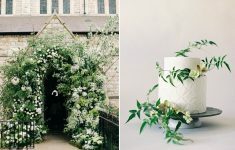 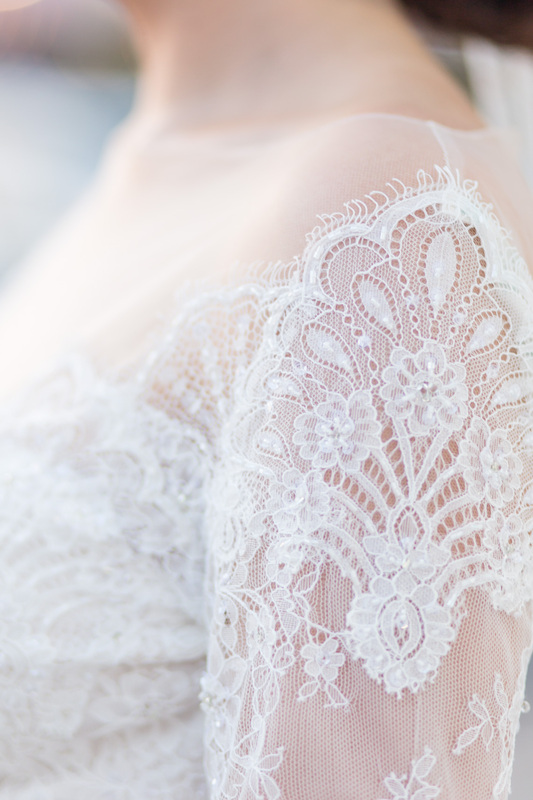 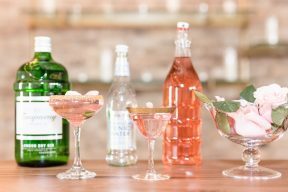 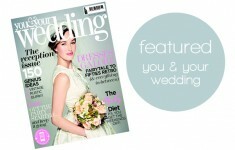 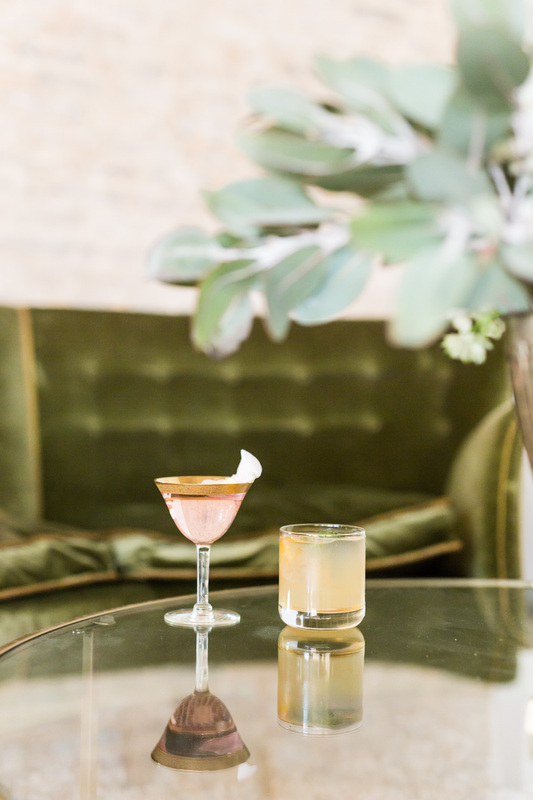 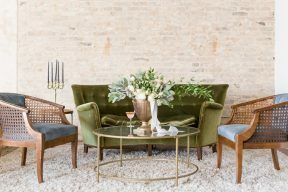 You’ll love the wedding lounge area too with a fashionable green velvet sofa and two major trends you’re going to eep seeing more of in 2019 weddings – velvet textures and creative lounge spaces!